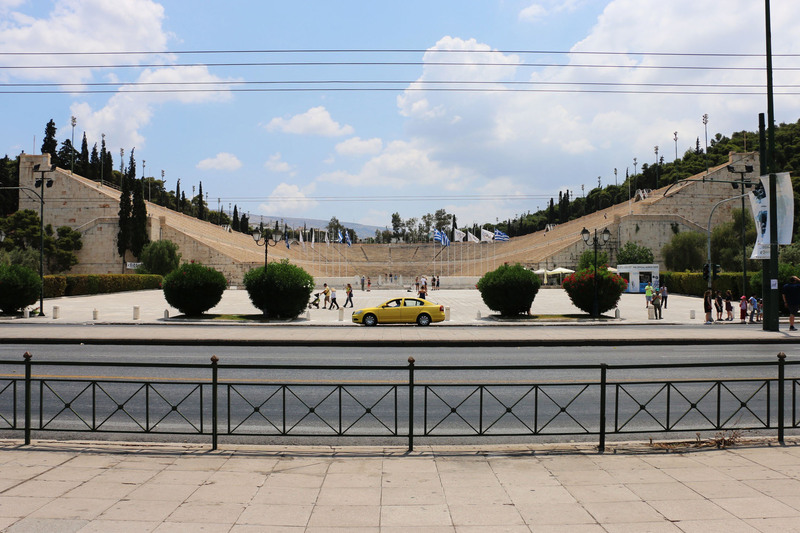 Athens City Guide – travelographie. Athens was all protest art, the glow of the Acropolis at night, ancient ruins next to concrete apartment blocs, olive oil, homemade souvlaki, cold coffee, and nearly suffocating in an elevator with my husband and Greek colleague. 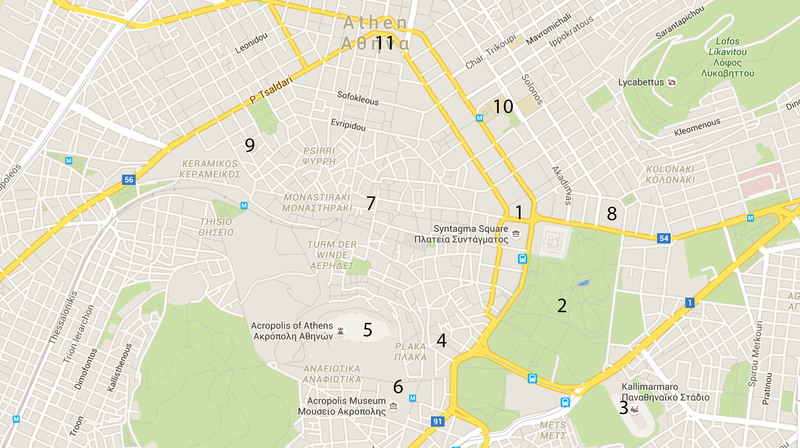 Here’s a guide to surviving the Greek capital. Athens is hot. I’ve been here four times, always in the summer, and this is the first thing that comes to mind. It’s that kind of heat that feels like a weight on your back. 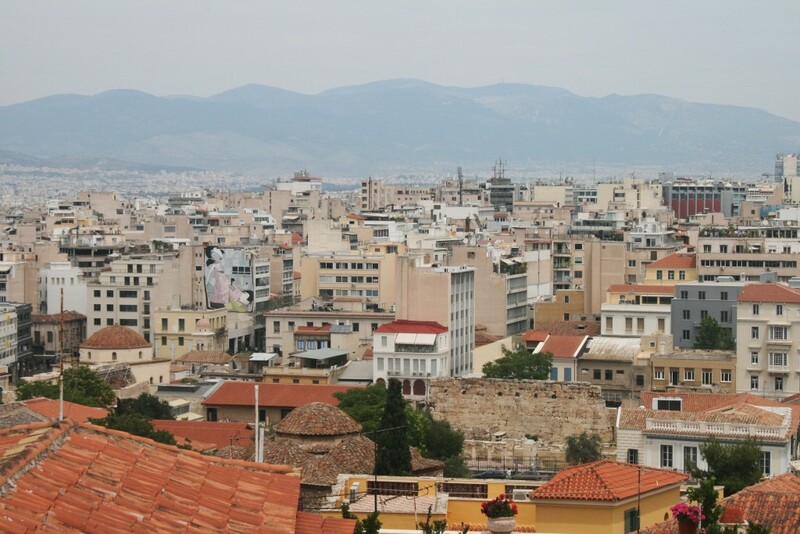 The crowded, congested, sprawling, noisy city is home to nearly half the entire population of Greece, and outside of the remarkable ancient ruins of the downtown, there isn’t a lot of architectural beauty in the ubiquitous concrete apartment towers radiating out from the center, pushing past the city limits to the foothills of the mountains beyond. But first impressions can be deceiving, and Athens has a way of pulling you in, protecting you from the sun, and making you feel at home. The white marble of the city’s historic landmarks has an almost watery coolness to it, reflecting the heat back towards the sky, and the shaded tavernas, cloaked in garlands of wine leaves, offer relief from the midday sun. The city comes alive after sunset, and no matter the troubles of the day, there is always a wonderful meal and wine to share under the glow of the Acropolis. Home to the Parliament building. 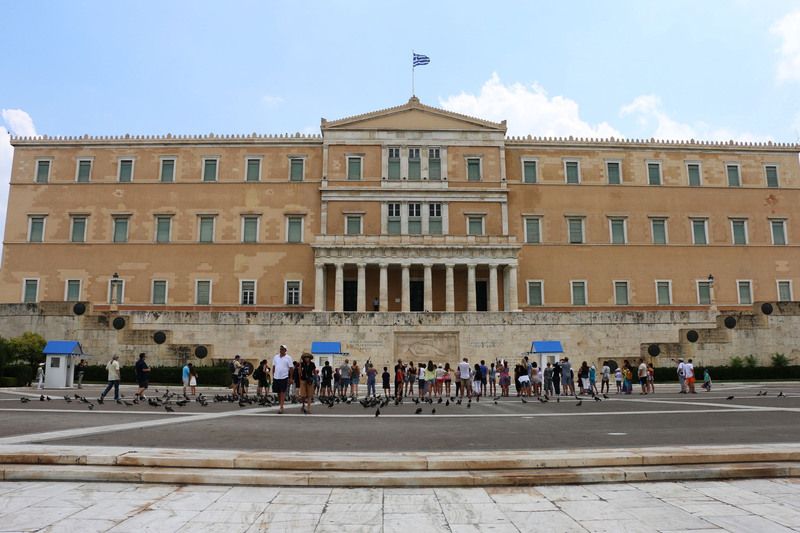 The center of modern Athenian democracy is housed in a beautiful 19th century palace that King Otto was forced to acquiesce after a popular uprising on September 3, 1843. It overlooks a large square that is great for people watching (and these days, you also might find yourself in a political protest). 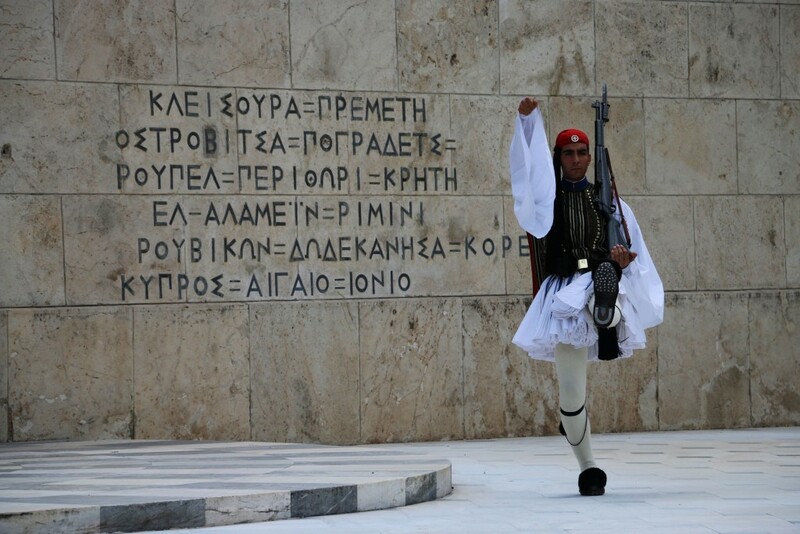 The changing of the guard takes place every hour, when soldiers attired in traditional costumes (and armed with scary looking German guns) perform a fierce dance. They slowly slink together into an “X,” which symbolizes the Greek word “oxi” meaning “no” as in “never surrender.” Inscribed on the wall they guard are the names of important battles in Greek history, underscoring the nation’s military pride. A true oasis in the middle of Athens, where you can escape the noise and heat, and visit several ponds teeming with turtles. While passing through, you will see the Zappion, an important ceremonial building. 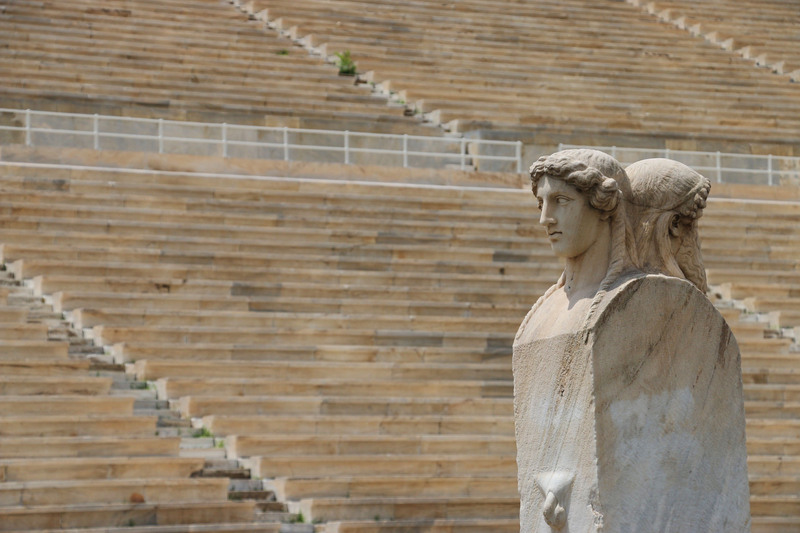 This is the site of the ancient Olympic stadium, which was destroyed and rebuilt several times throughout antiquity. 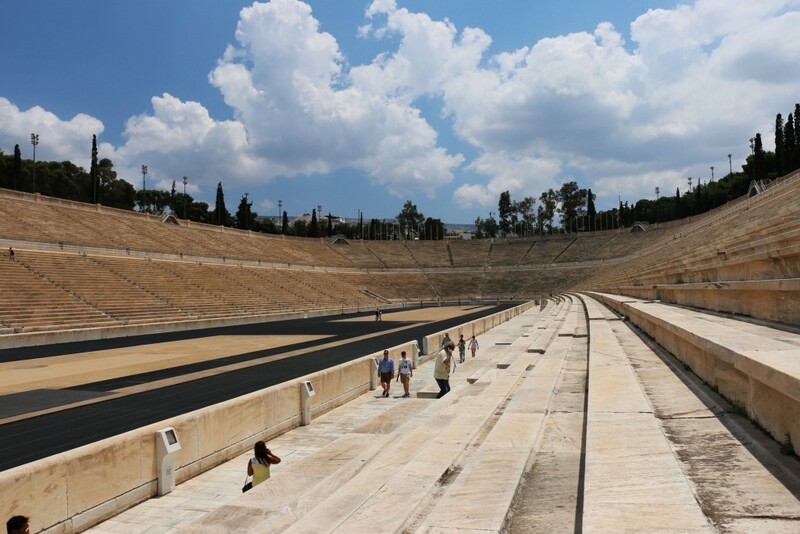 It was restored for the 1896 Athens Olympic Games, and can hold 68,000 spectators. It is the world’s only stadium constructed entirely of marble, and even on the most scorching day, the light marble is still somehow cool enough to sit on. 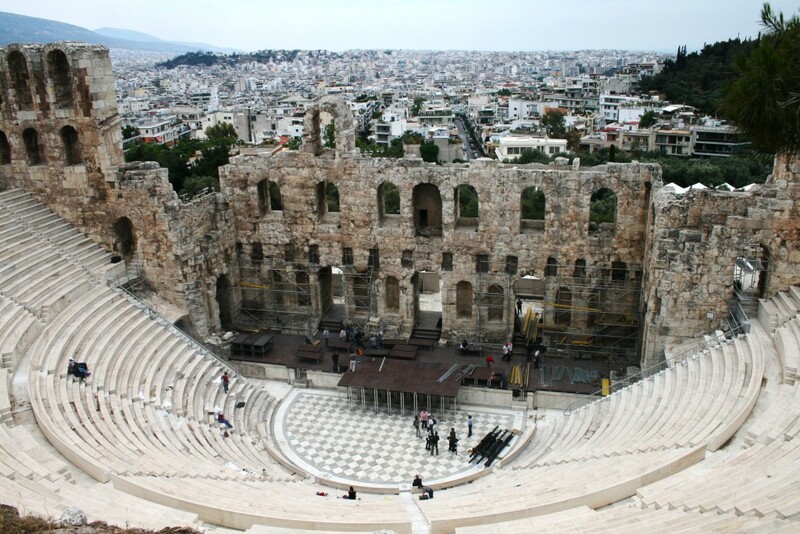 A charming, historic neighborhood at the foot of the Acropolis. There are none of those unsightly concrete apartment blocs here, and many of the lively, bright-colored facades display the iconic architectural style. It’s touristy, but it’s also pretty and pedestrian friendly, unlike many parts of Athens, and getting lost in its sunny, labyrinthine streets makes for a nice afternoon. 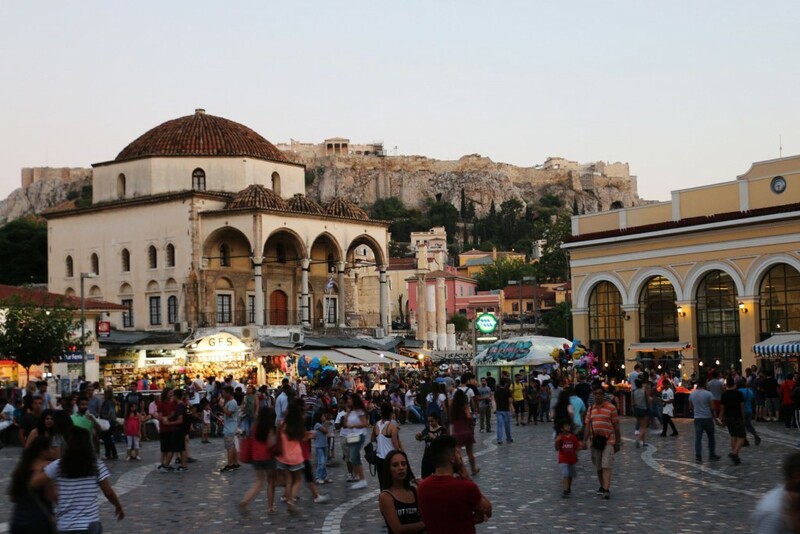 One of the things I liked doing in Plaka was visiting an outdoor movie theater: when the sun goes down, movies in the original language (usually English, with Greek subtitles) are played on the rooftop, with a view of the Acropolis. We saw something called “Hot Tub Time Machine” here back in 2012. The plot was as stupid as it sounded – but the theater remains the most memorable place I’ve ever seen a movie. It seems like every road in Plaka leads up to the Acropolis, which is perched upon a plateaued hill in the middle of the Athenian downtown. From here, you will have the best views of Athens. 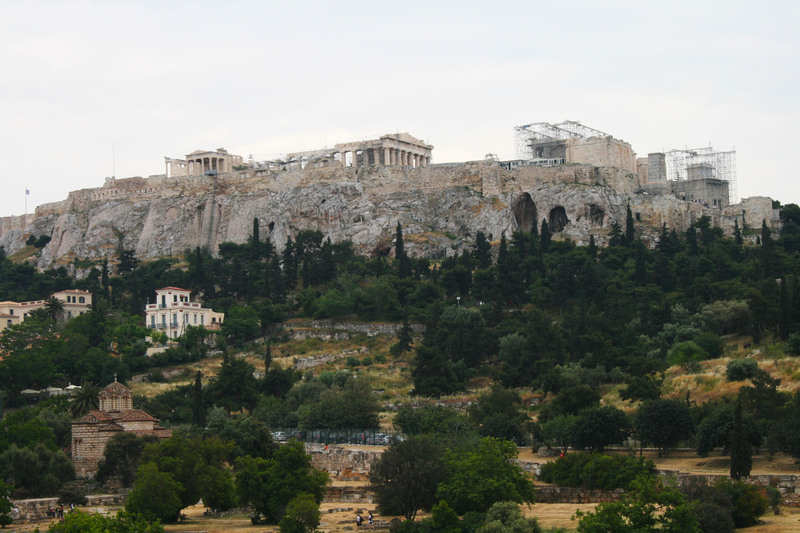 The citadel is actually home to several ruins, the largest of which is the Parthenon. Near the entrance is the impressive Temple of Athena Nike, and next to the Parthenon is the Old Temple of Athena. The Acropolis was used variously throughout history as a religious center, residence, palace, military fortification, governmental building, and marketplace. Below the temple ruins are two rather intact ancient theaters, and several sanctuaries. I like to imagine the missing parts, remembering that in ancient times, the buildings and statues were actually painted in vibrant colors (royal blues, greens, ochres, and reds). One of the most iconic and centrally located neighborhoods of Athens. From the Acropolis or the Acropolis museum, you can head through the park, passing by the Temple of Hephaestus, which gets overshadowed by the drama of the Acropolis, but is actually more intact. In Monastiraki, you can also visit the ruins of the ancient agora (next to the not-so-ancient Metro ruins), and Hadrian’s library. 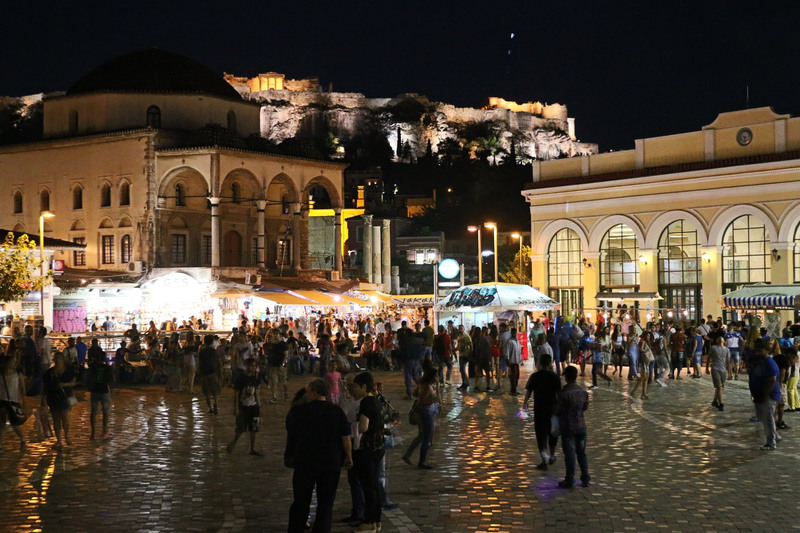 The heart of Monastiraki is a bustling square named for the ancient monastery of the Church of the Pantanassa. This is another pulsing center of Athens, popular not only with tourists but with locals alike. There are some nice flea market stalls and artisan stores that can be found here in between the forgettable tourist souvenir vendors. 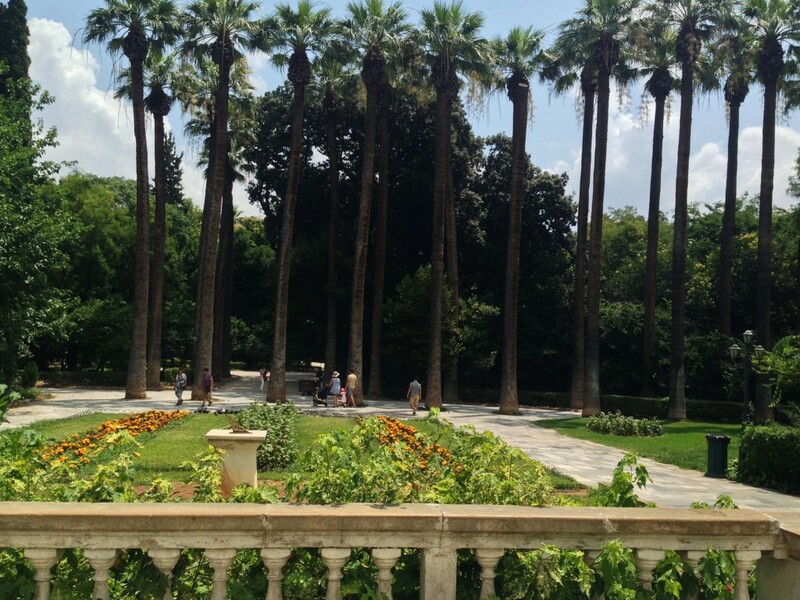 After all that walking, it’s great to take a break in some air conditioning at the Benaki Museum, one of Athen’s best. This is the private collection of Greek business magnate Antonis Benaki and is housed in his downtown mansion, which is basically right across from the Parliament building. 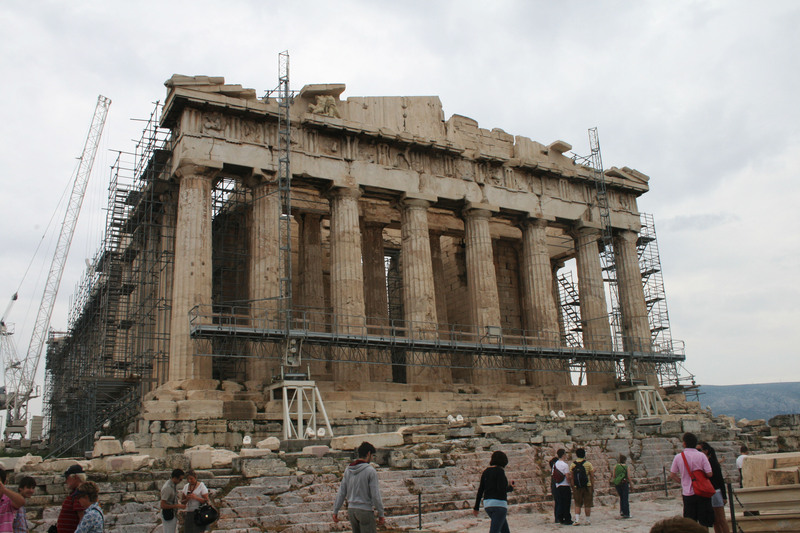 The focus is on Greek art, handicrafts, and culture, with some Asian art. The cafe has a panorama view of the Acropolis and fancy cocktails. It is open until midnight and free on Thursdays and Saturdays. The Benaki also has several satellite locations throughout Athens, specializing in Islamic, Modern, and Contemporary art. The one near Kerameikos had a world-class photography exhibition when I visited, and I would recommend checking out its temporary exhibitions. Originally the ancient hub for Athen’s pottery and ceramics industry (hence the name), today, the modest neighborhood is undergoing a revival. You can still visit the ancient archaeological site, but there are also plenty of hip bars and nightclubs catering to the student population. 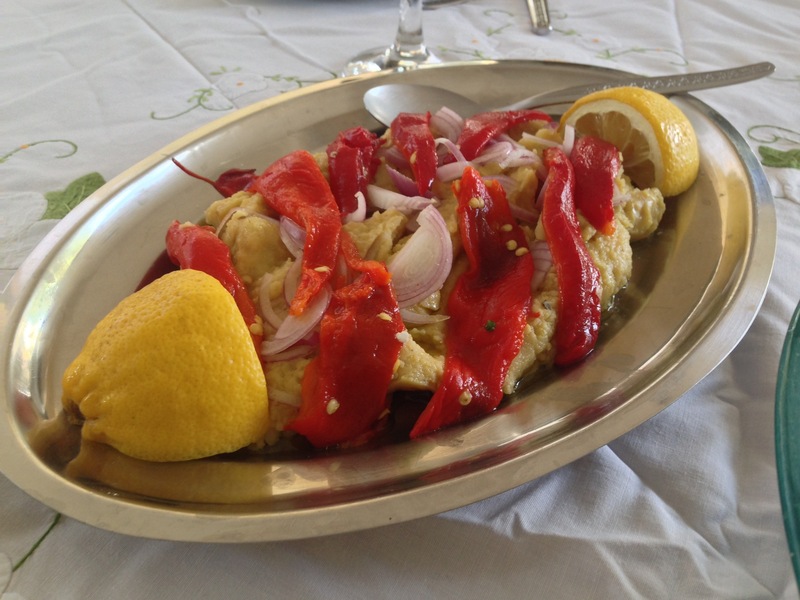 Around the Kerameikos metro station are at least 15 foodie-type restaurants and bars. 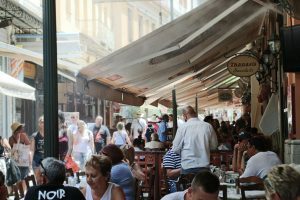 It is short on hotels, but is a thriving Airbnb area, and even though it is close to downtown (only one subway stop to Monastiraki), it’s hard to feel like a tourist here. 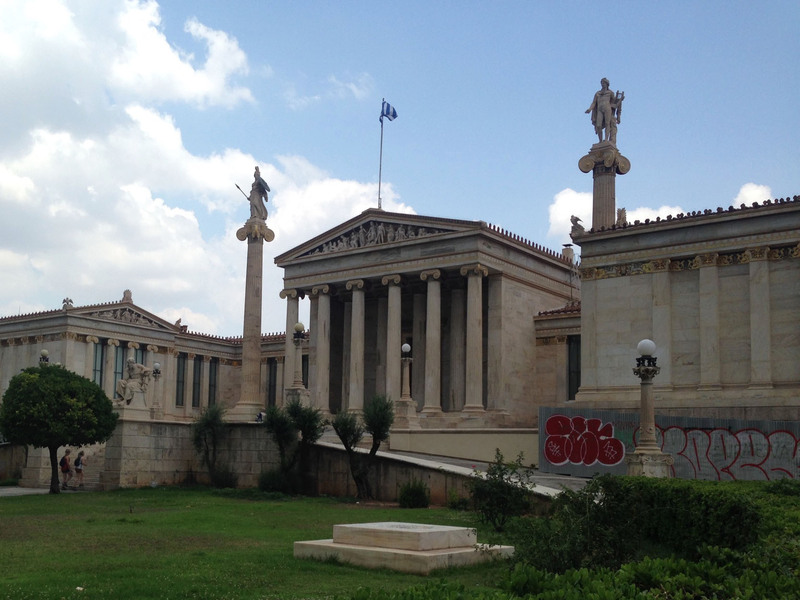 Built upon the ancient academy of Plato, the modern Academy of Athens is the center of Greek intellectual life. The buildings are adorned with sculpture and paintings, and the ethereal library is definitely worth a visit. 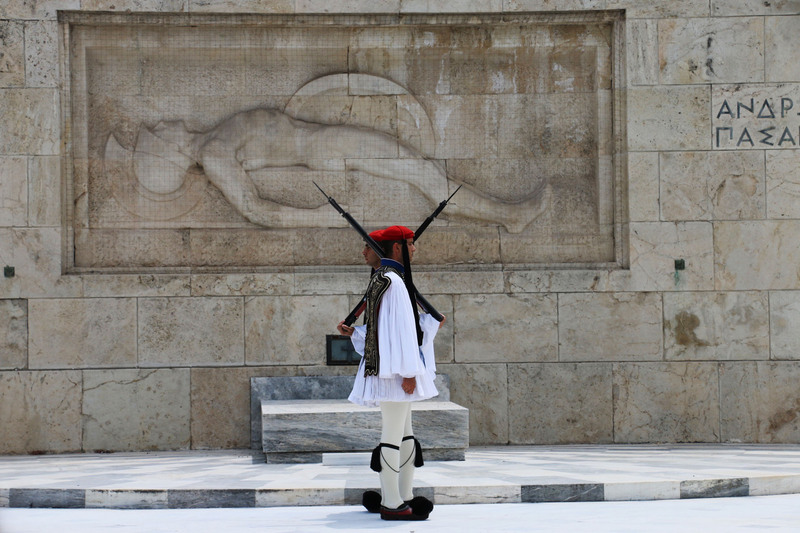 Flanked with Neoclassical buildings, Omonia Square is the northern boundary of downtown Athens. Just to the north is the National Archaeological Museum of Athens, which is an essential stop for anyone interested in ancient Greek art. They have an excellent collection of Geometric vases, from my favorite period in Greek art. The port of Athens is now owned by a Chinese company. Go figure. Pireaus is not particularly interesting, but this is where you catch the ferry to the Greek islands. There are also some good seafood restaurants here. At the tip of Attica is the peninsula of Sounio. To get there, follow the coastal road from Athens. This drive is worth the trip itself. 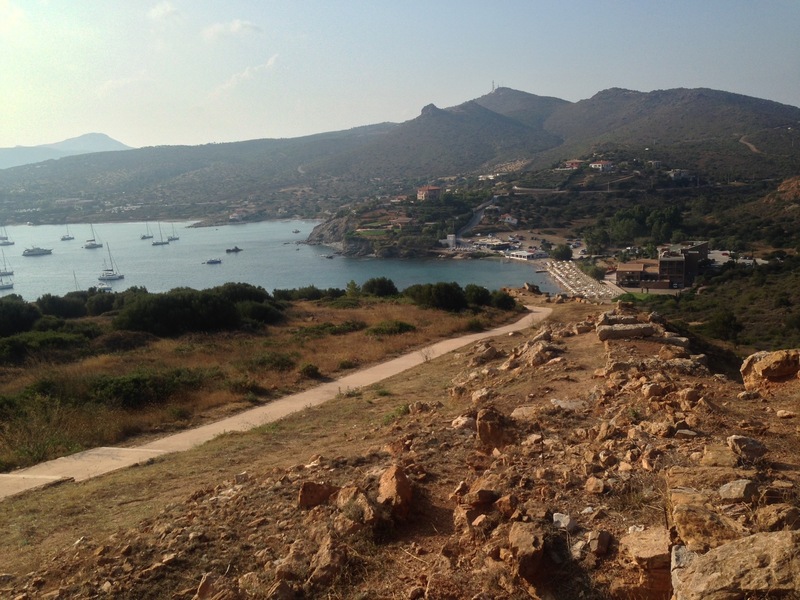 At the tip of the cape in Sounio, you can visit the Temple of Poseidon. 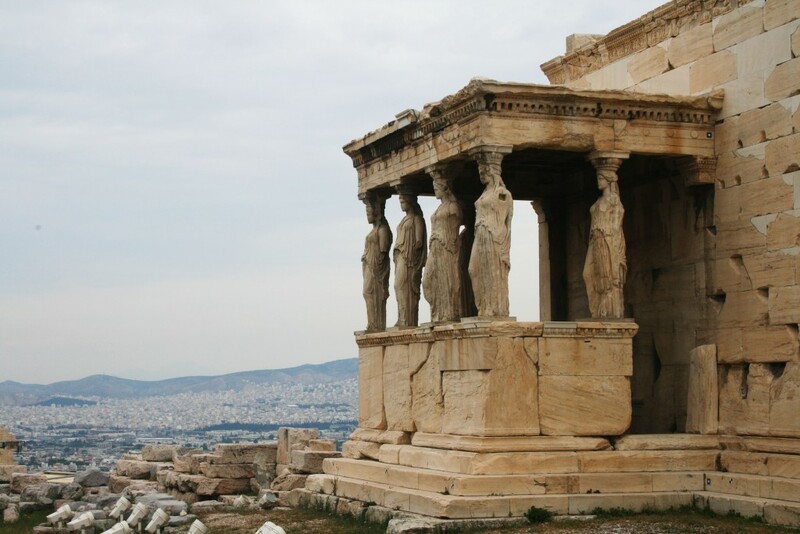 Ancient Greeks had a knack for finding the most beautiful vantage point and turning it into a place of worship. Today, you can visit the temple ruins, which offer beautiful views of the Aegean. To the left, there is a beach and a cafe where we watched the sunset. The town right before Sounio, Legrena, has several beaches that feel like those of a Greek island. All of this is less than an hour from Athens. Greek food is heaven. To avoid tourist restaurants and their faux traditional dishes, I never eat on a main square or a place that offers the menu in six languages. For breakfast, I would skip the standard continental breakfast at the hotel and head to the nearest bakery. Greek bakeries are the best in all of Europe, and a nice Frappe or Espresso fredo (cold coffee) is the best way to start the day here. For lunch or dinner in Athens, we liked Karamanlidika, a deli-style restaurant with great cold cuts and cheeses, as well as small meze-style plates like hummus, fried cheese dishes, spicy sojouk. The service is so friendly I felt like I’d been going here all my life. Our Greek friends took us for souvlaki near Monastiraki Square at Thanasis. Usually the restaurants near the tourist centers are to be avoided (see above: they aren’t good because they don’t have to be), but we knew we were in for a treat at this one because half of the tables were taken up by old Greek women lunching alone. (They don’t have the time or patience for bad food!) The souvlaki comes piled on a grilled pita, with mild red onion and tart tomatoes, reminding me of my absolute favorite “Coney Island” Greek diner back home in Detroit, where they also made a mean souvlaki. 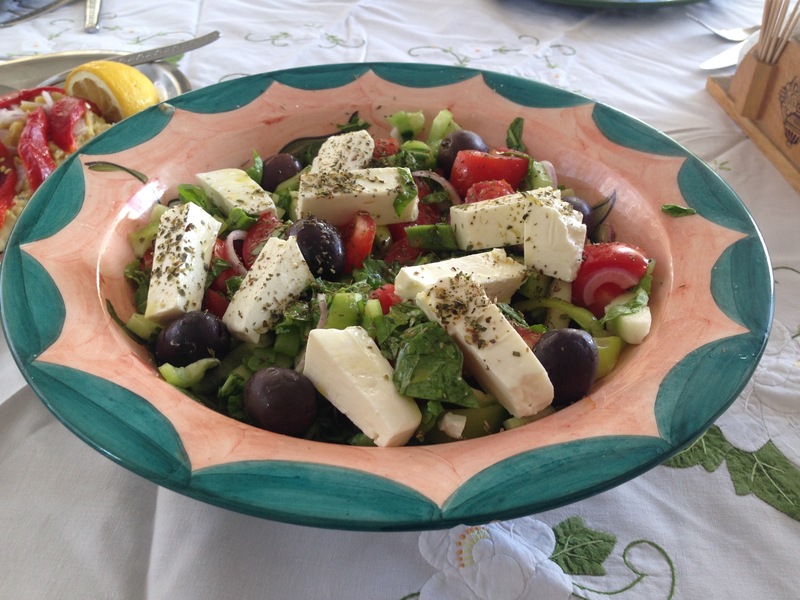 Head to Thanasis for souvlaki in Athens. One of my favorite dinners EVER was discovered on accident. We stumbled upon a true farm-to-table foodie place called Fabrica tou Efrosinou in Athens. It had a creative menu of artesian cheeses, organic wines, fresh fruit drinks, homemade bread, roasted vegetables, meze platters, and stewed mushrooms so juicy they tasted like meat. The kind of place where you can order meat, but the vegetarian food is so good you don’t have to. The kind of place where they list the origin of the salt, and had obviously put a lot of thought into what potato cultivar from which Cycladic island would make for the best fried potato. 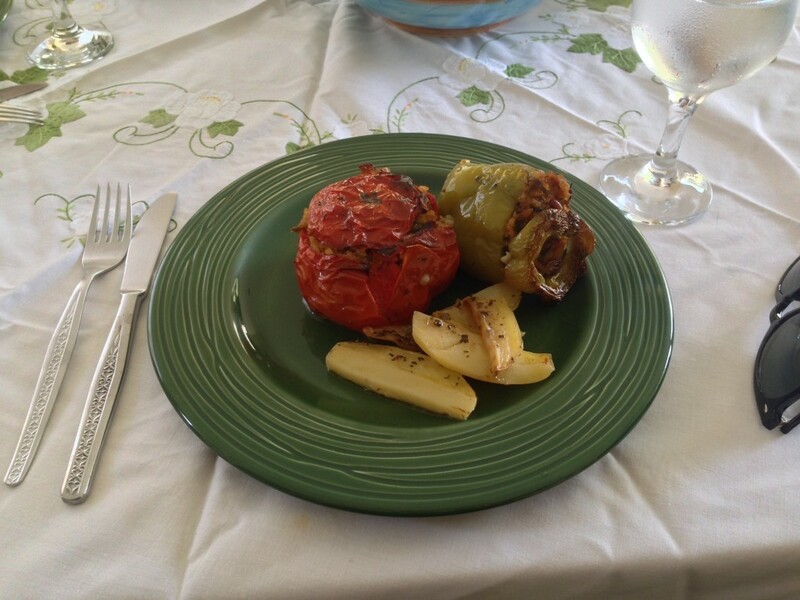 Luckily, we have Greek friends and colleagues, so we ask them to cook for us when we visit. Our Greek colleague’s wife made us this meal: Greek salad with crunchy greens, feta cheese and the juiciest tomatoes EVER, pureed fava beans with olive oil and paprika (like hummus, only with a richer flavor), stuffed peppers and tomatoes (rice, dill, and dried grapes, for a little sweetness), served with soft, lemony potatoes, buttered rice with tomato-drenched lamb kofta, and, of course, baklava. 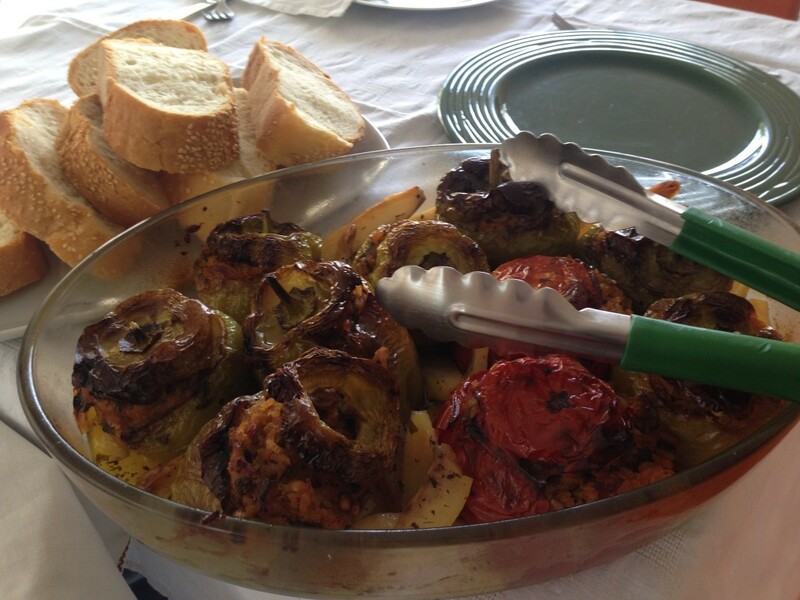 Served with crusty bread, red wine, and…more olive oil!